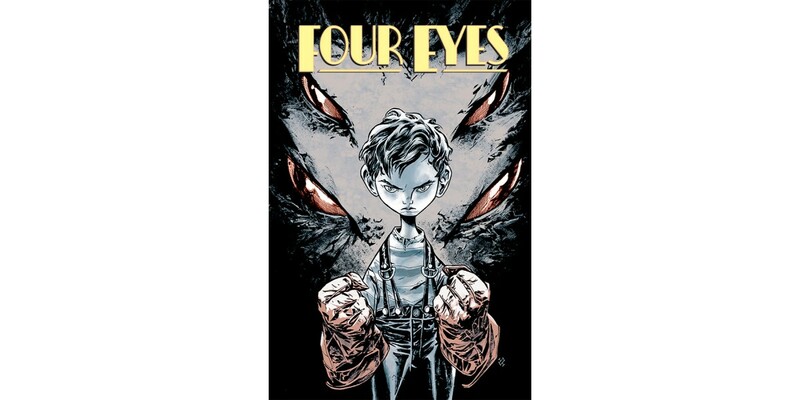 In anticipation of Man of Action Entertainment's second FOUR EYES story arc due to launch this fall, Image Comics is pleased to announce a remastered reprint edition of the first volume of the Young Adult fantasy series FOUR EYES, written by Joe Kelly (I KILL GIANTS) and drawn by Max Fiumara (Abe Sapien). The first four issues of the beloved series, which made YALSA's "Great Graphic Novels for Teens" list upon publication, will be collected into a trade paperback this July. FOUR EYES is the epic saga of Enrico, a boy living in an alternate 1930s New York where dragon fighting is the city’s number one underground sport and the cause of his father’s untimely death. Enrico’s trial-by-fire (literally!) begins here. FOUR EYES, VOL. 1: FORGED IN FLAME (ISBN: 978-1-63215-424-8) hits comic book stores on July 8 and bookstores on July 21, and will be available for $9.99. It can be ordered by retailers from Diamond Book Distributors with Diamond Code MAY150492.